There are few public reminders of Alcuin in the centre of York today. He is represented on the outside of the Minster Library’s Alcuin wing. And H.W. 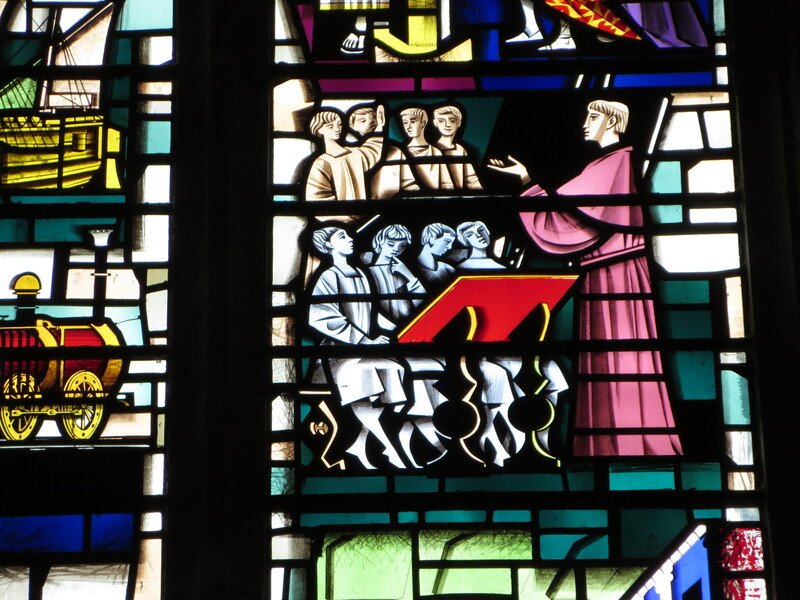 Harvey’s 1960 painted glass window in the Guildhall shows an imaginary scene of Alcuin teaching.